The last four games that the New Orleans Saints have played have been, in order, the NFC Championship Game, the Super Bowl, the Thursday night NFL Kickoff game and then a “Monday Night Football” game. So the last four times they’ve stepped on the field they have been the center of focus for the entire football-crazed universe. This Sunday they host NFC South rival Atlanta at 1 p.m. in the Superdome. This game won’t be nationally televised, won’t be a marquee contest on this week’s slate, and, for the first time in 10 months, New Orleans won’t have the undivided attention of every leatherhead in the U.S. of A. However, I can think of about 60 or so gentlemen that will be giving the defending Super Bowl champions their full and undivided attention in a game with significant ramifications for who wins the division. Atlanta entered 2010 as the primary threat to New Orleans’ supremacy in the South. Even though it’s a long shot that the Falcons can rise up and knock the defending champions off their perch, Atlanta has been a feisty, unrelenting opponent for the Saints over the past two seasons. The Falcons enter this game off a blowout home win last week, they have plenty of revenge from a pair of losses to the Saints last year, and they have the advantage of catching New Orleans on a short week after a tight MNF tussle in San Francisco last week. Last year these teams met twice. And both times Atlanta shrugged off massive, crippling injuries up and down the roster to give New Orleans two of its toughest games of the season. The Falcons lost by just eight points in The Crescent City and then, with both its starting quarterback and starting running back on the shelf, they fell by just three in the Georgia Dome. Atlanta easily covered the spread as a double-digit underdog both times. The Falcons bounced back from a grueling overtime loss at Pittsburgh to open the season with a 41-7 thrashing of Arizona. New Orleans has dispatched two playoff contenders, Minnesota by five and San Francisco by two, in a pair of hard fought, physical games. New Orleans will be playing this key divisional clash without Reggie Bush, who suffered an ankle injury Monday night and will be out at least a month. I have long been of the belief that Bush’s impact on the Saints has been overrated. However, there’s no denying that he was off to a good start this year and that his loss is one less weapon in the arsenal of Drew Brees and the Saints. The Saints have been instilled as 4.0-point favorites in this contest. The line on this game was a bit late to be released, due in part to New Orleans playing late into the night on Monday and in part to the status of Bush. The total is currently available around 49.5 or 50.0. Falcons are 5-1 ATS vs. a team with a winning record. Falcons are 5-1 ATS in their last 6 games overall. Falcons are 9-4 ATS in their last 13 vs. NFC. 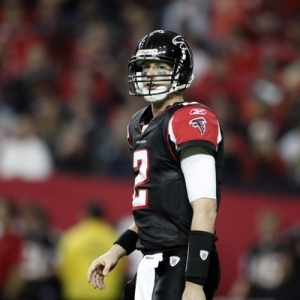 Falcons are 3-1 ATS in the last four meetings. Saints are 2-7 ATS in their last 9 vs. NFC. Saints are 1-5 ATS in their last 6 games following a S.U. win. Saints are 1-6 ATS in their last 7 vs. NFC South. Saints are 3-7 ATS in their last 10 games overall. This game definitely isn’t a high-value situation and is really one of the more difficult games of the week to get down on. My initial reaction is to get on board with the Falcons and take the points. Atlanta was weaker last season, New Orleans much stronger, and the Falcons still managed to give the Saints everything they could handle. We saw last week with Baltimore that a team off a tough, gritty, down-to-the-last-second Monday Night Football victory is in a prime spot to be upset the following week, but that’s long been a football betting maxim (“Win on Monday, lose on Sunday.”). The Saints are 0-1-1 ATS so far this year and it is next to impossible to ever find value on the Super Bowl champions. But all of that said, the Superdome has become one of the loudest, most disruptive, most difficult places in the league to get a win. If you discount a Week 16 lay-down against Tampa Bay last year, New Orleans is 15-4 SU in its last 19 home games and they are 12-6-1 ATS in those tilts. The oddsmakers – and the general public – will likely overreact to the to the Bush injury and that could open up some value on the home team. I’ll go ahead and predict a 24-20 game…I just am not 100 percent sure which club is going to be on the right end of the scoreboard, or the betting card! Robert Ferringo is a writer and a professional college football and NFL handicapper for Doc’s Sports. Last year he brought home +62.5 Units for his clients for NFL picks and he is regarded as one of the top totals players in the sport. He has turned a profit in 5 of 6 football weeks and has a College Football Game of the Year on deck for this weekend. You can sign up for his college football and NFL picks and get more information here.